Our community has been here since the mid-1800's, beginning as a sawmill town and pioneer farming center. 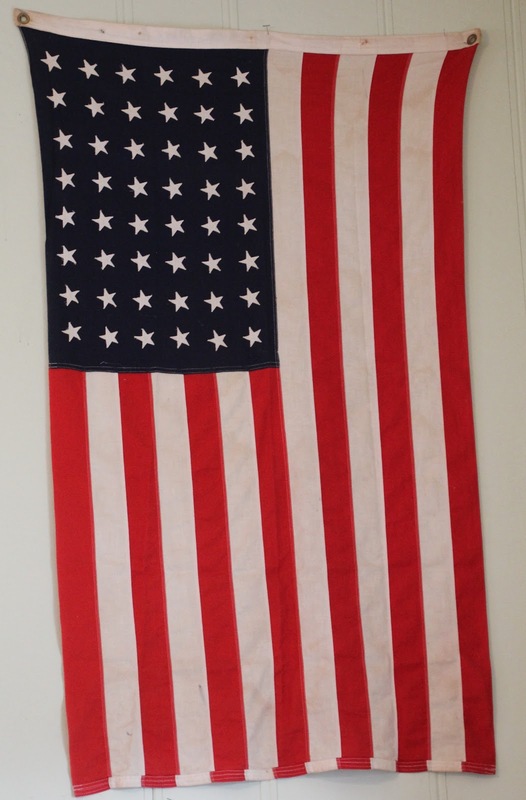 The museum exhibits will take you through some of the history of our area. Enjoy your visit. The museum is a volunteer project of the Thematic / Historical Committee of M.A.G.I.C. 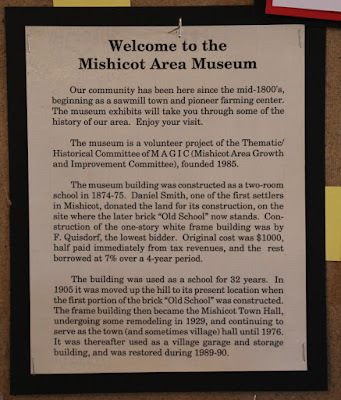 (Mishicot Are Growth and Improvement Committee), founded in 1985. The museum building was constructed as a two-room school in 1874-75. Daniel Smith, one of the first settlers in Mishicot, donated the land for its construction, on the site where the later brick "Old School" now stands. Construction of the one-story white frame building was by F. Quisdorf, the lowest bidder. Original cost was $1,000, half paid immediately from tax revenues, and the rest borrowed at 7% over a 4-year period. The building was used as a school for 32 years. In 1905 it was moved up the hill to its present location when the first portion of the brick "Old School" was constructed. The frame building then became the Mishicot Town Hall, undergoing some remodeling in 1929, and continuing to serve as the town (and sometimes village) hall until 1976. It was thereafter used as a village garage and storage building, and was restored during 1989-90. 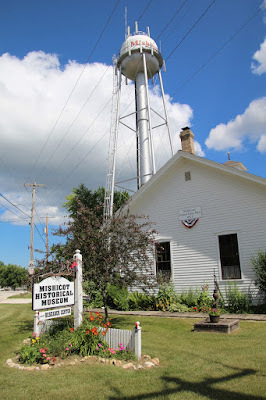 The Mishicot Historical Museum and Research Center is located at the V-intersection of Randolph Street / County Highway V and Buchanan Street, at or near 419 Buchanan Street, Mishicot, Wisconsin 54228. Originally published in the April/May 2005 MAGIC Newsletter. Downloadable PDF originally published in A centennial history of the Manitowoc County school districts and its public school system, 1848-1948. Click here to view all Mishicot Heritage historical markers erected by Mishicot Area Growth & Improvement Committee (MAGIC). See also, Mishicot School District No. 1, also at this location. 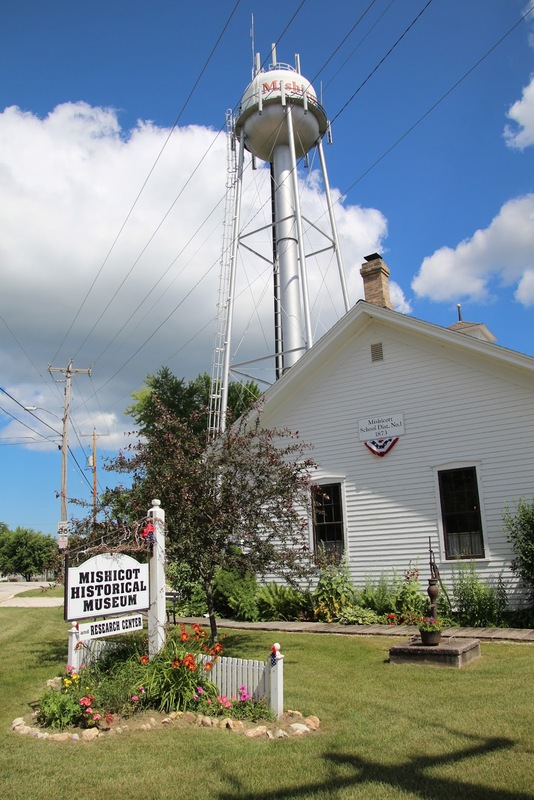 The museum is next to the impossible-to-miss Mishicot water tower. The entrance to the schoolhouse now museum. See the copula on the roof? That's where the school bell is. From inside the museum, guests can ring the school bell. I rang the bell (a couple of times); it was fun! Some of the many exhibits at the museum. Beautifully organized, with tons of interesting information! after Wisconsin had been added to the Union. Note the townships were being drawn up. Mishicot High School graduates who served in World War II. Beautiful day lilies in the flower garden. This Mishicot Heritage historical marker is also at this location. Dexter enjoying his visit to the Mishicot Historical Museum. The museum is located in Mishicot, Wisconsin.